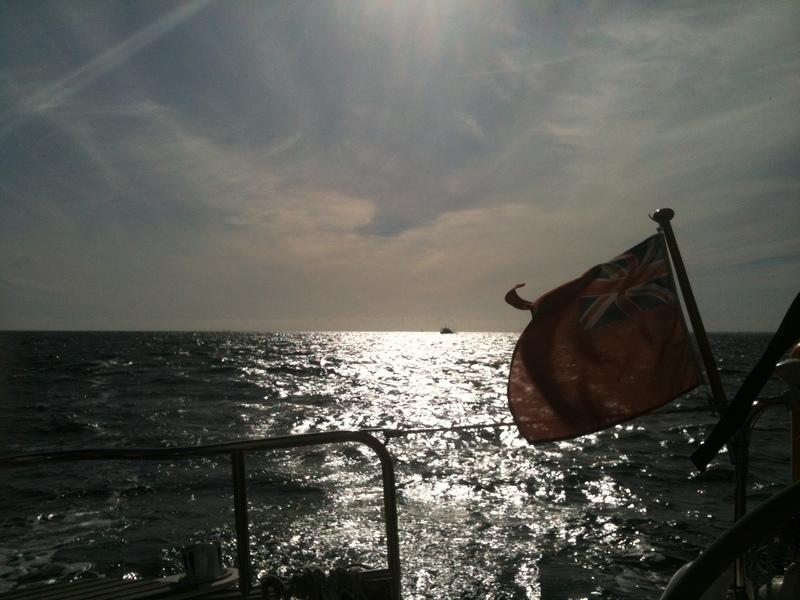 Another days sailing done. 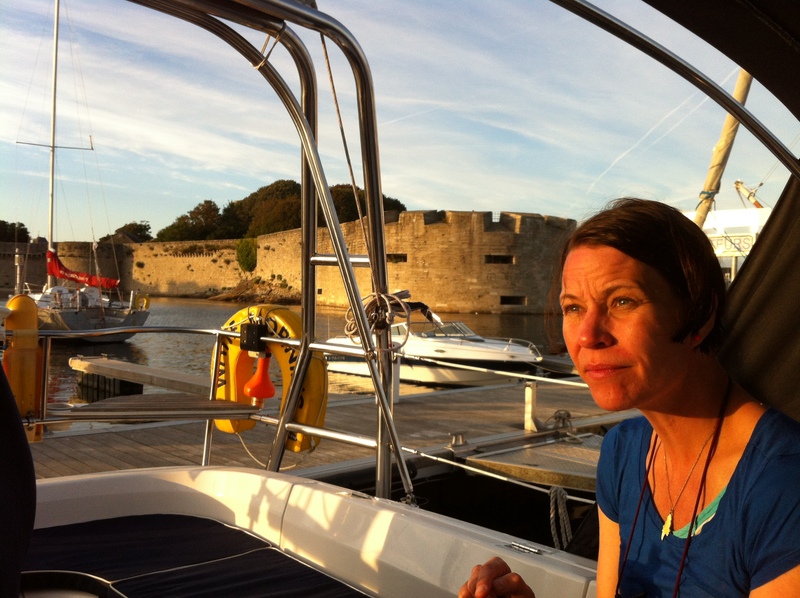 Having survived a mix of weathers, a run-in with a spiteful tug boat and long day’s sail, we find ourselves coming into view of our next stop: Concarneau. Passing the first harbor walls, it is a beautiful evening. Even from sea, the place looks amazing. In fact, arriving by sea is the best way to see any city. It’s one of the best feelings in the world, far more exciting than arriving at some grimy train station or airport. I get so excited by our first view of the high granite ramparts of the old walled fortress; I actually drop a fender into the sea. We have to turn the boat around and double back to scoop the fender out of the water, lying flat on the deck with boathook outstretched, to catch the little blighter. Once in port it’s the usual marathon, trying to find a berth. There is an extra complication. 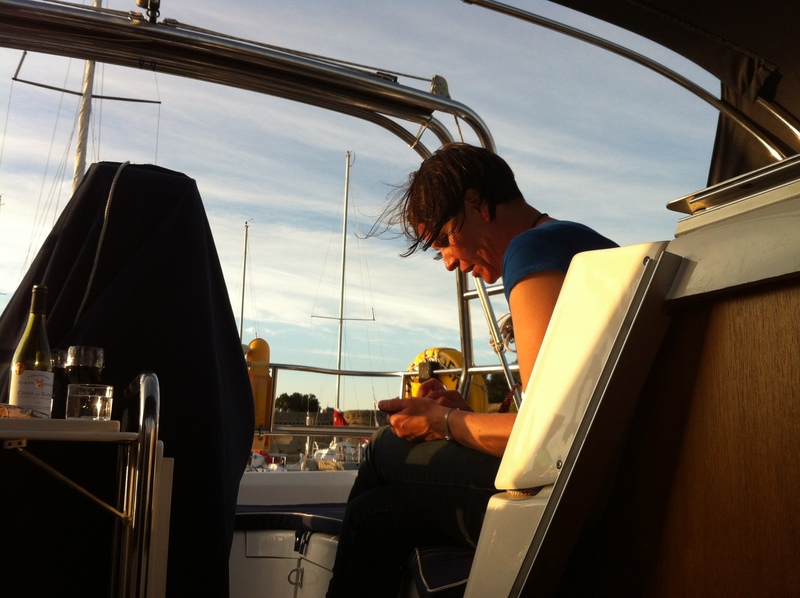 Unlike other boats, we like to reverse into our mooring slot; it means we can chill out in the evenings on the aft deck, enjoying the sun and the views. But it does mean we have to do everything backwards. Fortunately, Mike is an ace pilot. Once again, our new port is a larger and more sophisticated place than our previous one. I am glad it’s worked out this way, it would be slightly depressing the other way round. This way we constantly feel like we are going up in the world. We leave the boat together. As I lock the storm deck I manage to break the latch. I seem especially accident-prone today. 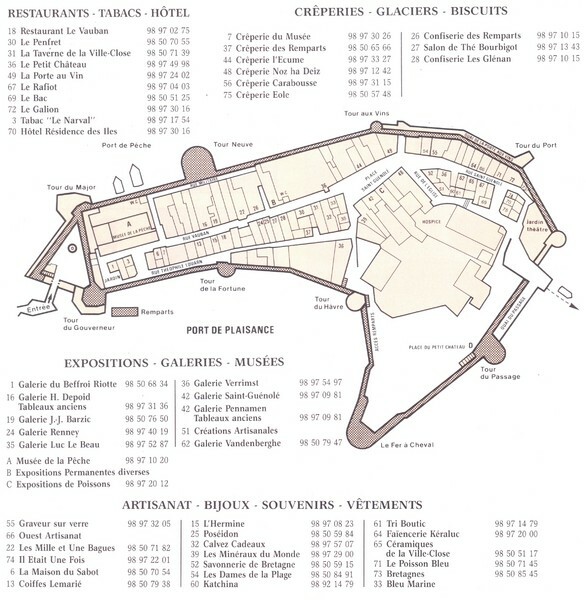 Concarneau is a far bigger place than Audierne. But in a sense there are “two Concarneaus”. Modern Concarneau is a mix of 17th to 20th century buildings, shops, businesses, restaurants and hotels, stretching out along a half-mile seaside promenade, before climbing upwards, then forking into a couple of main streets, (one bound for the train station) and some interconnecting side streets. 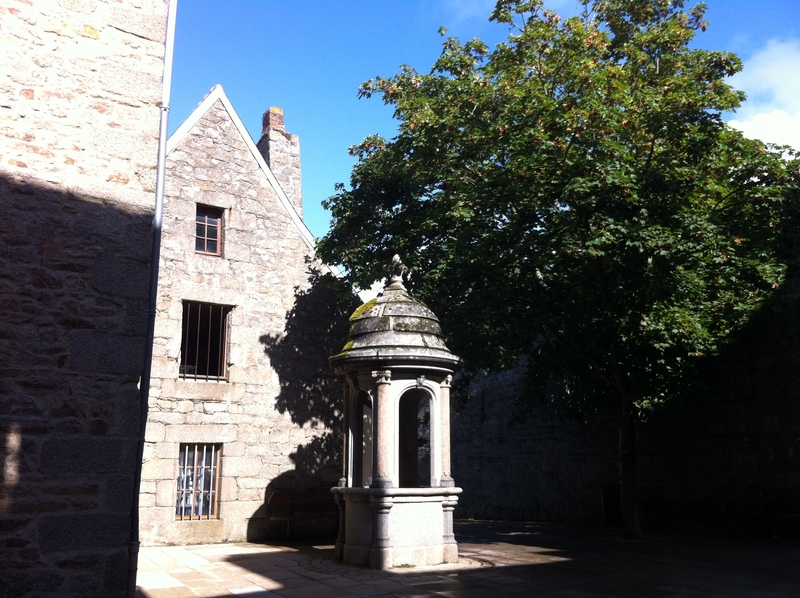 Old Concarneau – the ville close – is spectacular. 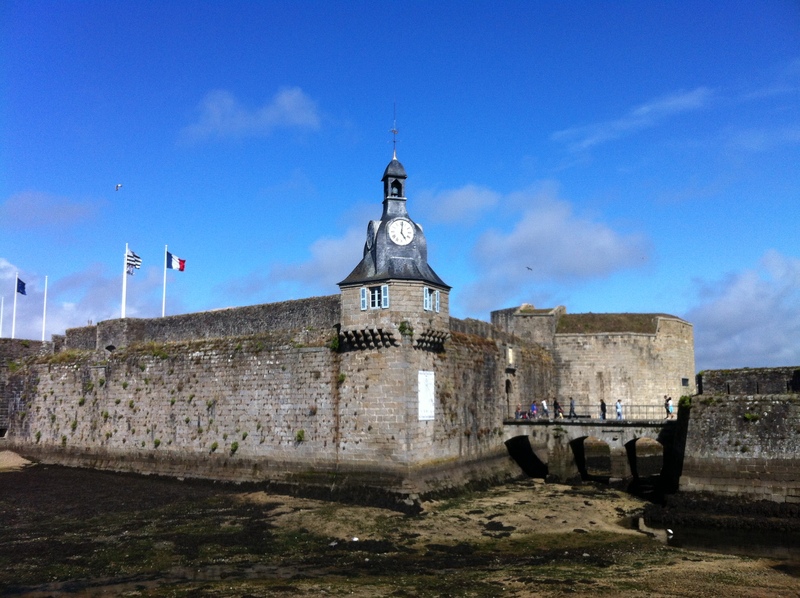 It sits on a kind of fortified island, guarded all around by massive high walls, built in the 16th and 17th century. 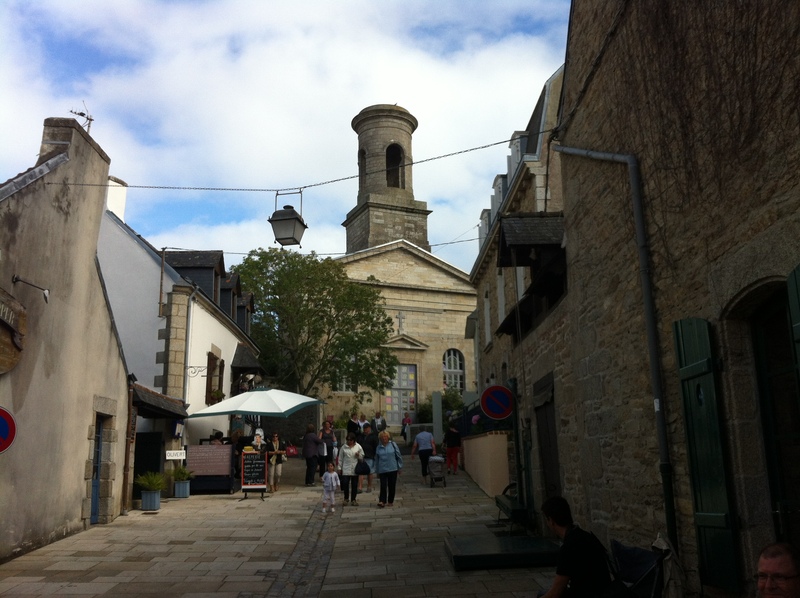 Within these walls is the old town, some of it older than the walls, including a very old chapel. There are two main streets, again with interconnecting side lanes. While Mike and Lindsey go off elsewhere, drunk probably, I maintain my wits and decorum and manage to explore part of the old ville close Island. 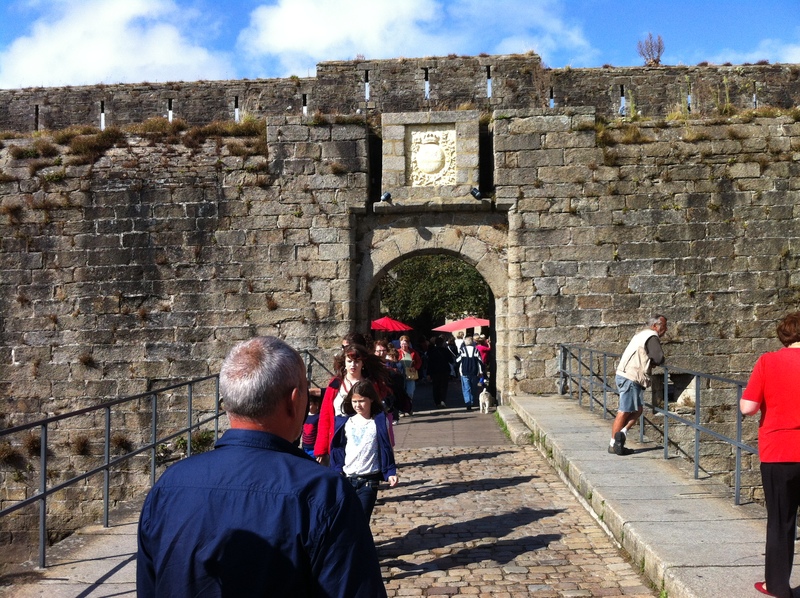 The entrance to the island-city is accessed over a bridge, through a double gate system, what would have been an almost impregnable defense. Even if invaders breeched the first gate, they would have found themselves in an enclosed space overlooked by battlements, with fire racking down, a sort of killing ground really. The gates and bridge are looked over by this fine clock tower, complete with sundial. I am only sorry the tide was out when I took this picture. 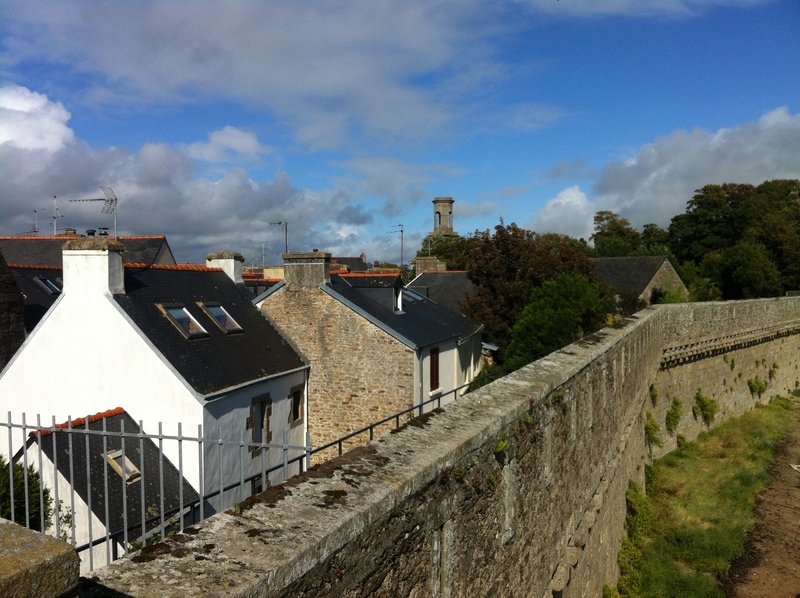 It becomes obvious quickly that Concarneau is full of tourists, especially French tourists. The old walled city is crowded, stuffed full of souvenir shops, selling all sort of tat and knick-knacks. 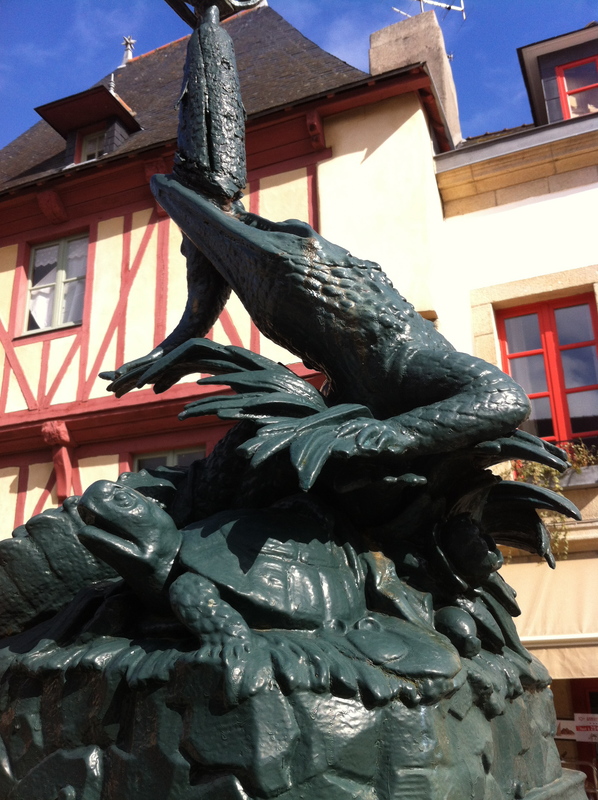 Even so, it is beautiful and it’s possible to escape the crowds of sightseers. I find this lovely old wellhead in a tiny, shaded courtyard. I also get slightly obsessed, for no good reason, with this great, old, cast-iron lampstand. Then I see this fine old sculpture, (below) in an alcove, outside an old chapel hospital. My day is complete. With his staff and cross, he seems to be the figure of a pilgrim. I dimly wonder if this city was part of the Camino pilgrimage trail, a network of roads and tracks all over Europe, leading to the shrine of St James at Santiago de Compestella in NW Spain. There is even a branch back in distant Ireland. 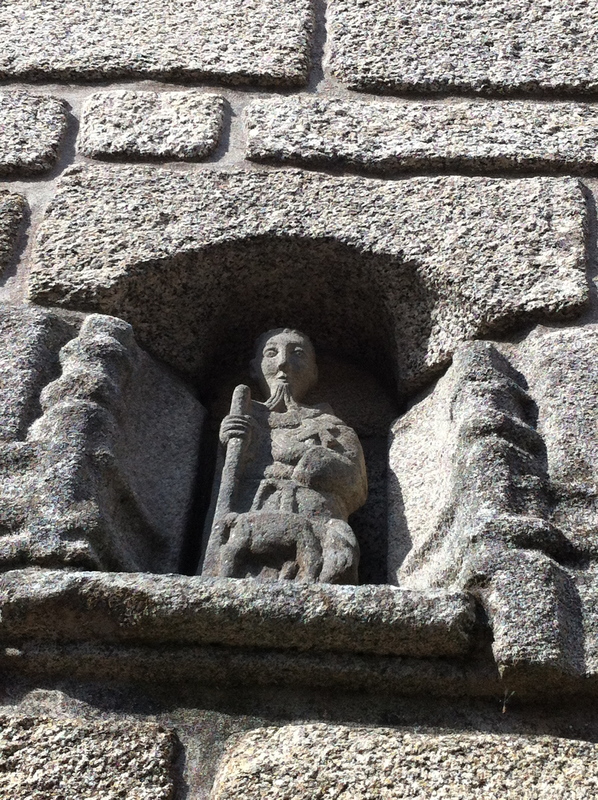 The medieval Dublin trail started at… St James Gate, of course, where the famous Guinness brewery stands. Anyway, I like this little man. He looks so dam determined. Despite the insane amount of visitors, (of which of course I am one) the old walled city is fantastic. There are old wooden framed houses and cottages. 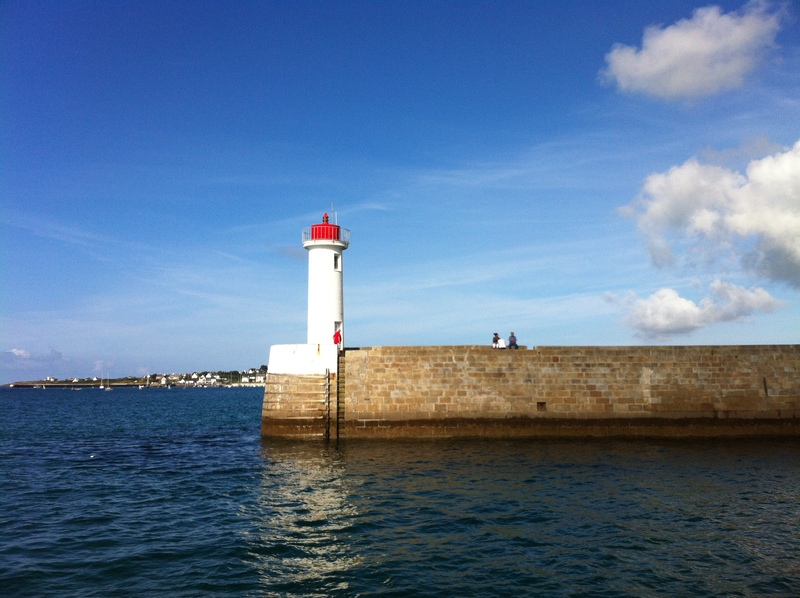 and this later church, built in the now familiar, sea-resistant, sturdy Breton style…. Then there are the fantastic walls themselves. I climb up to the ramparts and spot our boat, White Morning, in the moorings down below. I can even see Mike out on deck, but there is no use calling out, he is too far away. I think I have seen most of the old town. 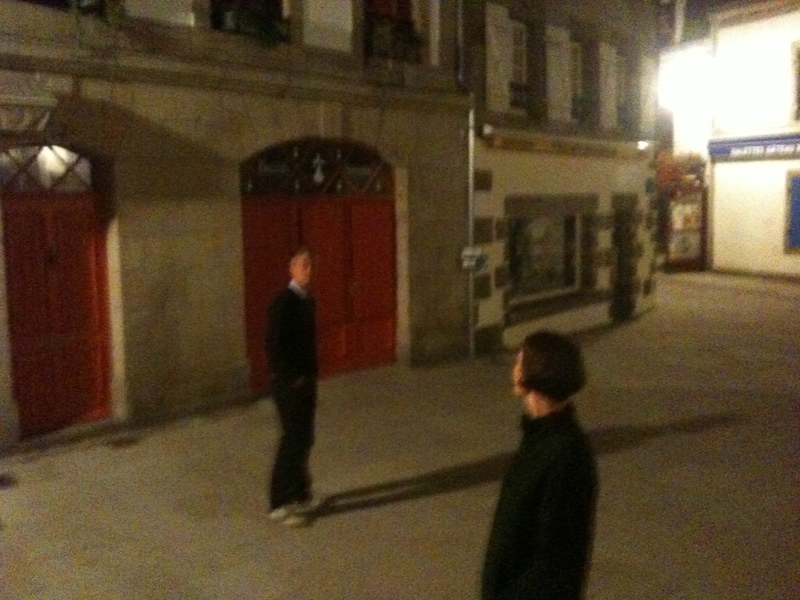 But when I return twice more, this time at night, with Mike and Lindsey. The old city is a very different place at night. There are almost no shops or any businesses open after 9 or 10 at night, due one presumes to some strict local laws. But hardly anyone even seems to live here either. So the whole place is a ghost town, an empty stage-set, full of deserted little squares and streets, spectacular, theatrical, and deeply atmospheric. 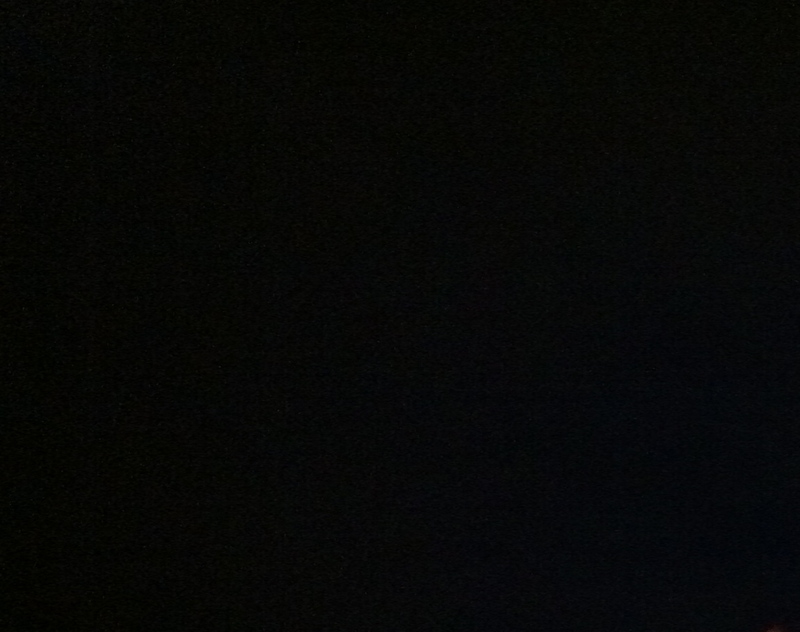 This huge dark pit is hard to read in the darkness. It seems sinister at night. We give it many names: “the pit of doom; “the pit of despair, “the abyss of hell, “the crevasse of endless night’ “the chasm of… Oh, you get the general idea. But we don’t have a clue what it was for. 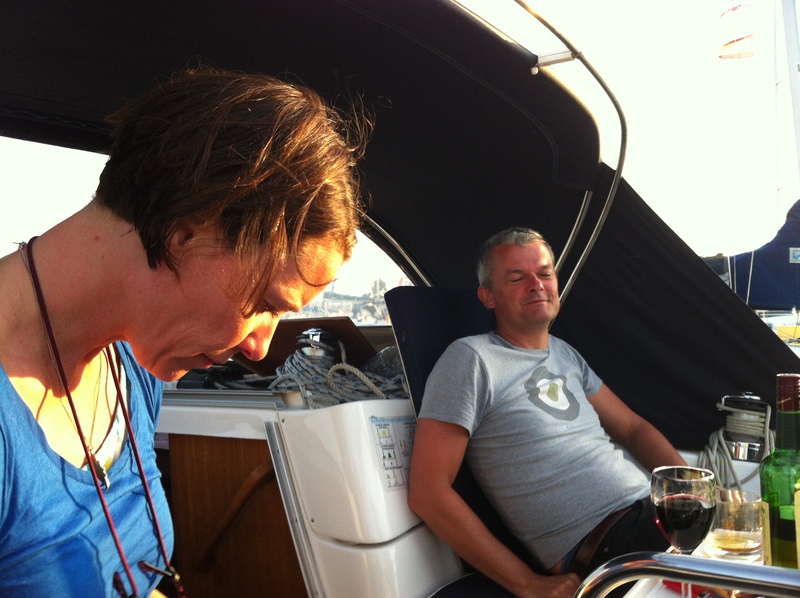 Our boat now moored and us settled happily on board, we give the endless sailing a rest for a while. We decide to stay put and enjoy the area. 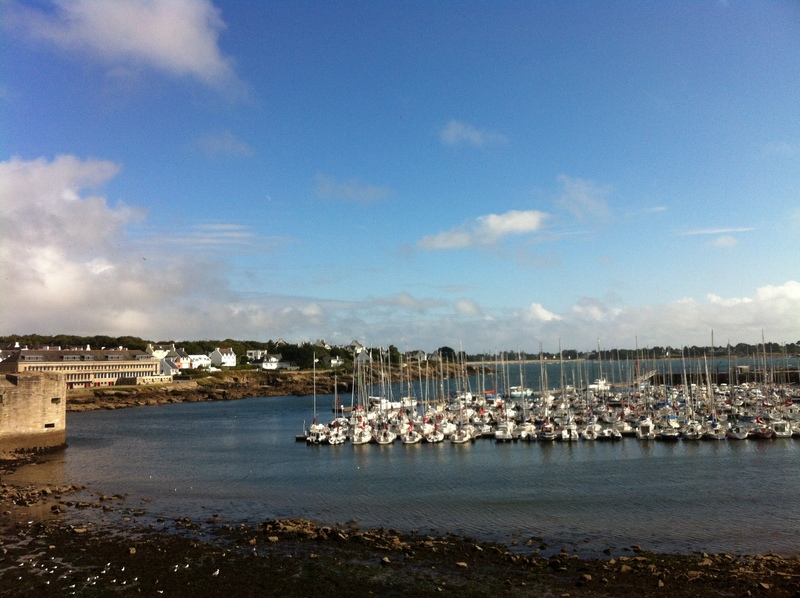 Concarneau will be our base for the next three or four days. 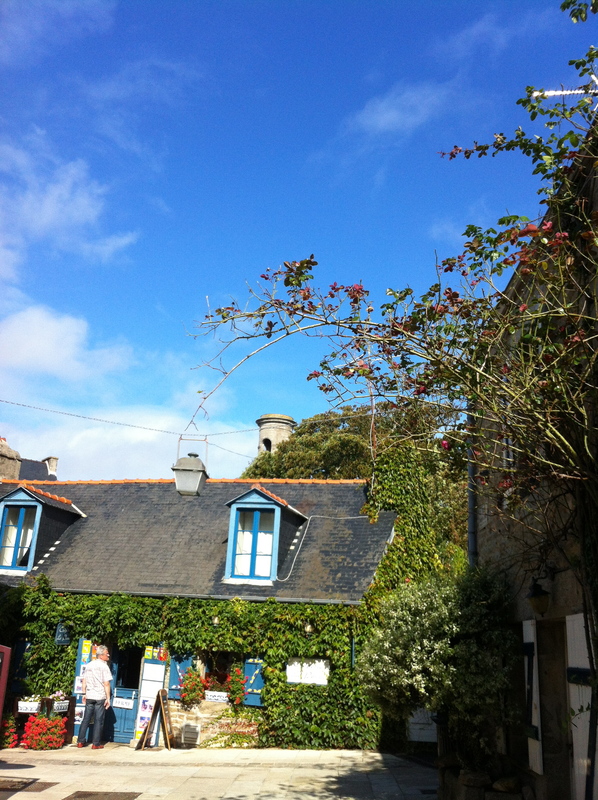 From here we will explore Carnac and Pont-Aven; the cathedrals at Quimper and even Nantes. Tune in next time, for more history from lovely Brittany. Fab! And my vote is definitely beaver. Delighted to hear it! 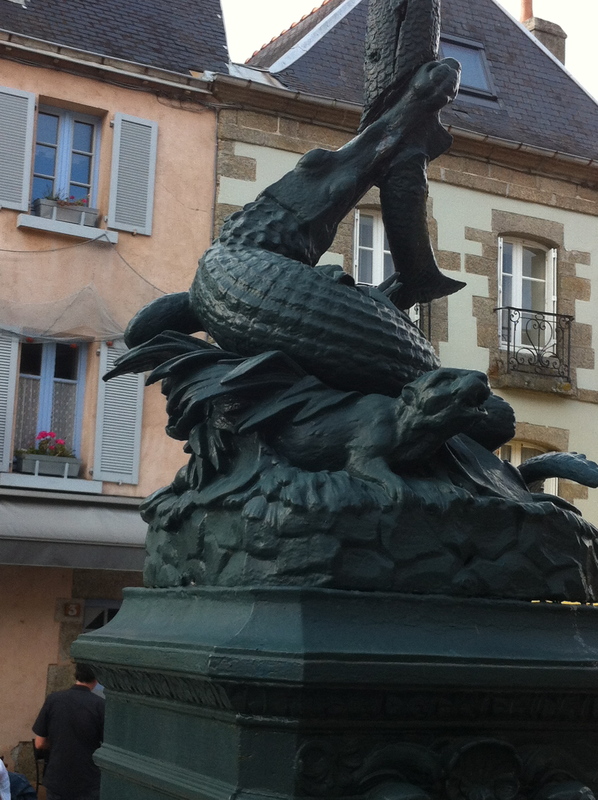 Yes, probably a beaver, very sensibly lying low while the crocodile goes on the rampage. I’m really curious about what that Pit of Despair really is. Me too ! It was a real puzzler, one of several on this trip. (Did you see the Ball and ladder contraption, in the first post, at the end of Plymouth Pier?) Hard to research these things after departure, but if I find anything out, I’ll be sure to let you know. Thanks for comment as always, so much better than a “Like”. ! 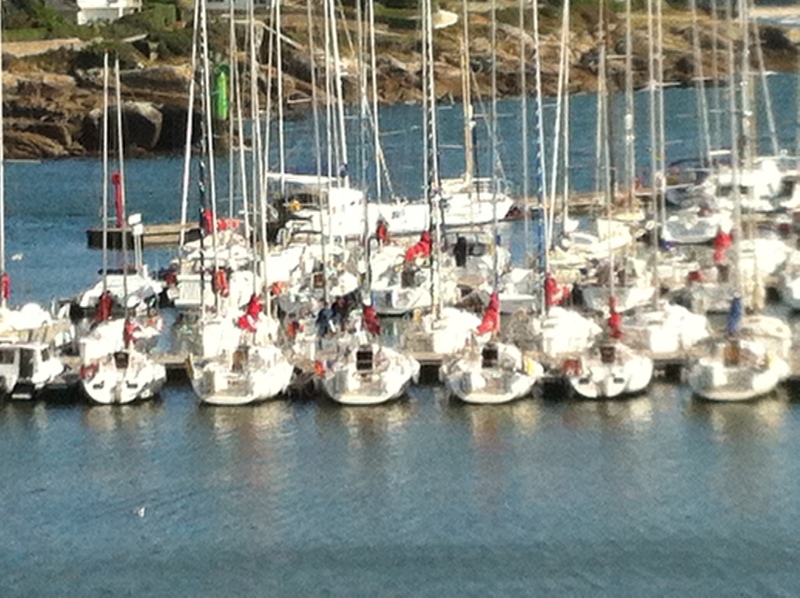 Previous Post Sailing Brittany part VII- Cameret to Audierne.